You never know who you’ll see and, more importantly, hear on Radio Row at the Super Bowl. ATLANTA (WTVF) — You never know who you’ll see and, more importantly, hear on Radio Row at the Super Bowl. From Nashville to New England and beyond, the game is being talked about. It’s not just the stations from the markets with the teams playing in the game, everywhere from Dallas to Sioux Falls is represented on Radio Row. There are even stations from Vancouver and London that made the trip. It’s all because Super Bowl Radio Row is where sports’ best talkers gather, and where the best guests can be found. 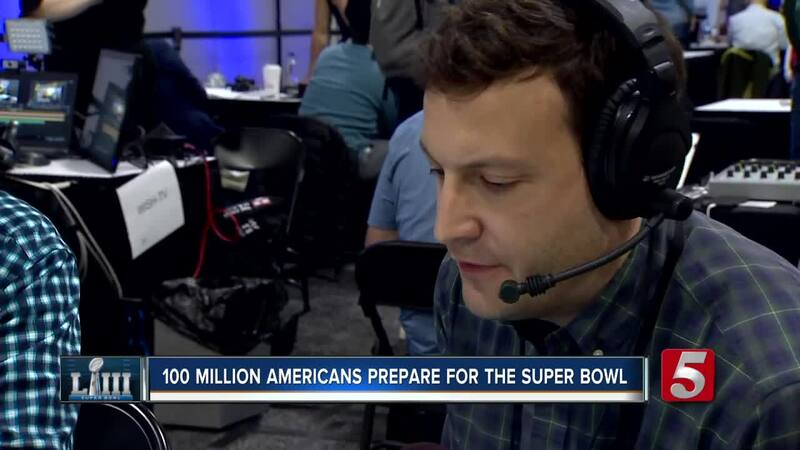 The stations will talk everything Super Bowl related. From past stories, to matchups and future predictions. Nothing is decided here, but everything is discussed. It’s the biggest week of the year in the NFL and, if you spend any time on Radio Row, you realize it’s the biggest week of the year in radio as well.